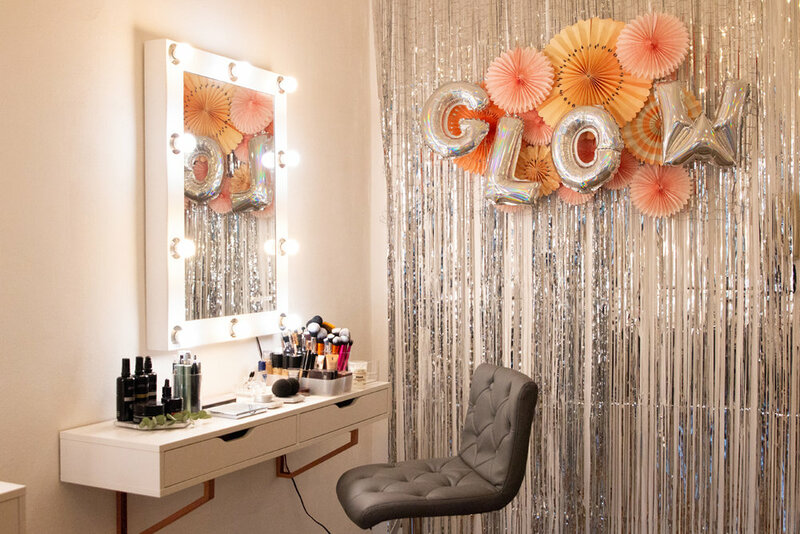 GLOW Rooftop Tea & Glow Event Recap! Cava, Cake, and Makeup are always a good idea! This weekend we collaborated with Rooftop Tea for an evening filled with lots of sweets and GLOWING skin. Attendees were treated to a variety of delicious treats (scones, Victoria sponge Cake, brownies, tarts, and so much more) everything was homemade by the talented Angela of Rooftop Tea! After the Cava was served we began our MasterClass on how to achieve Glowy Skin for Winter time. Everyone that attended was able to mix and mingle with one other, and were all very responsive to our feedback/techniques during the MasterClass. Everyone was offered a variety of touch ups of their choice and makeup advice from Laura! While we mixed a little pleasure with fun, we were ultimately there to bring women together to celebrate the importance of skincare prep to achieve the ultimate winter GLOW, with a traditional English afternoon Tea!